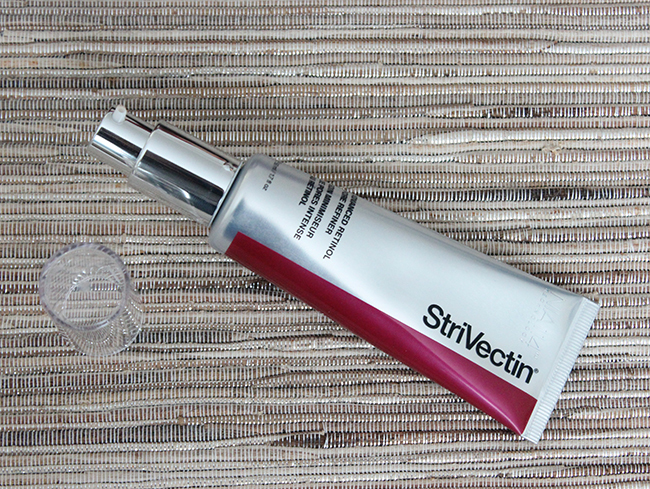 StriVectin Advanced Retinol Pore Refiner Review! StriVectrin Advanced Retinol Pore Refiner is a lightweight face lotion that contains Retinol, fantastic anti -age ingredient that I am sure many of you have heard about before. This product is suppose to smooth out your skin, help its texture as well as minimize the appearance of pores. It should be applied last in your skincare routine, before you put your makeup on. What I really like about this product is that you can layer it with other face creams, serums etc. and it doesn't feel heavy on the skin nor dries it out, which happens often with products containing Retinol. I usually will use it on top of my hydrating serum and almost every night at nigh time for the great anti-aging purposes. 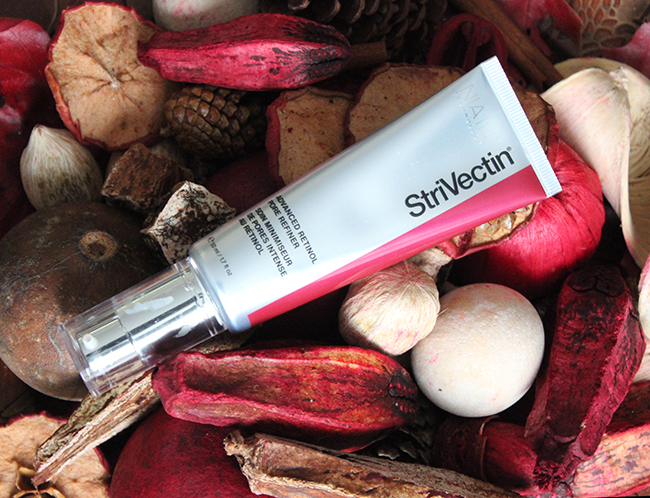 StriVectrin patented NIA-114™ technology stimulates repair your skin's DNA, decrease hyper-pigmentation and more (you can read about it here). 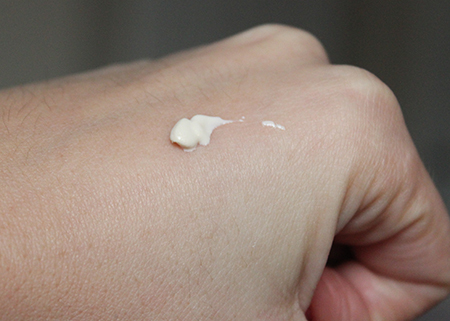 Because of its gentle Retinol formula, I think this product will work well on all skin types. Overall, I think this face lotion works great used during the day as well as night. I did notice that my skin cleared out and looks a bit more radiant, so I will definitely keep using it as a part of my skincare routine.